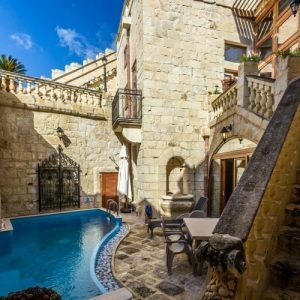 If you are considering relocating to this beautiful Mediterranean destination, our team of experienced professionals at Welcome Center Malta, decided to crate a guide with all the useful and updated information that you should focus on when planning to get involved in real estate purchasing on the Maltese Islands. Let us give you an introduction to property in Malta and all the aspects you might be dealing with whilst finding your new home. 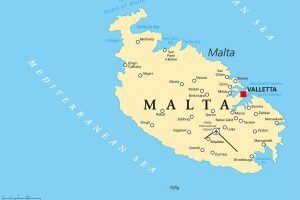 Geographically Malta consists of 3 islands: Comino, Gozo, and Malta. The smallest and truly the most spectacular miniature paradise, is Comino with its crystal clear waters. Gozo is the second island by size and population. The perfect destination for planning to own a home for retirement, having a remote job, or just getting a place dedicated to quiet serenity away from the hectic lifestyle in the cities. Furthermore, it is also home to some of the most breath taking authentic villas and farmhouses within a peaceful environment and a significantly, a slower pace of life. These zones do not have exact borders, and it’s recommended to bear in mind that they might differ in a few kilometres, eventually, depending on the system of the division. The region refers to all the cities scattered around the harbour and the capital, including Sliema, St Julian’s, Gzira, Msida and cities like Floriana and Birgu in the southern regions of the zone. Valletta is the capital city, despite the eastern harbour cities being unquestionably more lively. Valletta was awarded as the European Capital City of Culture in 2018, as well as, a UNESCO World Heritage Site for almost 40 years. 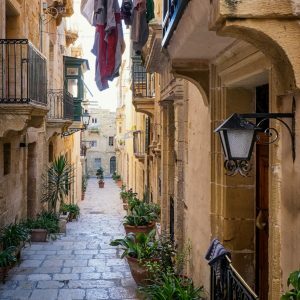 The architecture of Valletta is historically significant, and the residents maintain their properties accordingly. Some would say that Valletta is more like a large open-air museum. In terms of public services, the city is home to the country’s law courts, the National Library of Malta and the Parliament. You can also find many banking headquarters and large companies. The main bus station is located in Valletta, with lines connecting the capital with hundreds of cities and villages. Undeniably, this makes it one of the most accessible cities in Malta, if you do not have your own personal transportation. Also, a significant advantage of living in Valletta is, that since most of the expat jobs are located in Sliema, one can simply cross between Valletta and Sliema with a short ferry drive. The definition of Sliem in Maltese is “Peace,” or “Serenity”, but in fact, Sliema could not be further from those kinds of expressions with its boasting population of 15,000 people. With a large population of expats and tourists due to the enormous number of shops, restaurants and the teeming bars along the full length of the promenade. 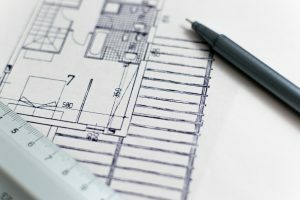 In recent years, with the boom of the construction industry, new developments are appearing all over the map, making a great buy-to-let investment or second home. Being just walking distance from St. Julian’s, one could say that these two cities are always the heart of the action. It is likely to find higher rental and purchase prices here, then when compared to the other parts of the island and in the harbour cities, as a result of the high demand. With that being said, there are still ample benefits to living in Sliema. You can balance these cost differences by living within walking distance from the surrounding urban areas, without maintaining a car or spending on public transport. For those that are searching for endless nights of entertainment, St. Julian’s would be the perfect fit. Not only because of the nightclubs and bars offering a number of choices for each musical taste, but also for the practical layout of these nightclubs, concentrated in one area, commonly known as Paceville. However, St. Julian’s has multiple faces, meaning that even if the streets of Paceville are always busy, one can spot compelling, classy residential areas here too. Apart from the ample accommodation possibilities, the region is home to many corporate businesses, mostly as a result of the high density of large office-structured buildings and complexes. Sliema and Gzira have often qualified as the most popular destinations of international companies based in Malta. However, still plenty of annual meetings, events and conferences are held regularly in St. Julian’s. 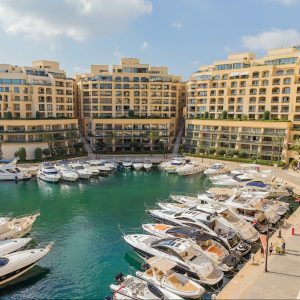 Being one of the busiest regions of Malta, it’s packed with office buildings, commercial facilities, highly finished penthouses, modern apartments, an extensive variety of charming townhouses and houses of character. Some of the cities with the biggest populations are located in the Central Zone, such as Birkirkara, Mosta, Attard and Naxxar. Prices are generally lower than in the cities located by the seashore, and one can find more locals than foreigners living in the area. It’s likely to see plenty of smaller shops here, although, if you are searching for entertainment, bars or clubs you should think more about the urban areas. On the other hand, one could see a number of the most beautiful villas around here, with stunning country views, and truly harmonious surroundings. The main fisher villages are to be found on the South such as Marsaskala, Birzebugga, and Marsaxlokk. It’s quiet and slightly less accessible than the central zoned, which tends to make it less popular amongst tourists and expats. 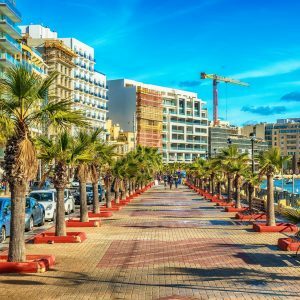 It is home to some of the cheapest properties, even so, there is no buzzing nightlife, neither large nightclubs or bars when compared to the other major cities around Malta. However, if you wish to opt for daily sunbathing, you will find some of the most amazing beaches in the South. 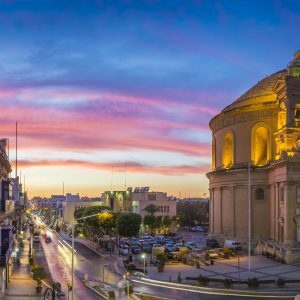 Apart from the hospitality industry, job opportunities are quite rare, unless you are opting for towns such as Marsa, which is further inland and more known for the industrial works. On the other hand, the airport is situated in the vicinity, which can be useful if you need to travel on a regular basis. The northern areas of Malta are giving a home to scenic views of weaving valleys and green hills. St Paul’s Bay, Bugibba, Qawra, and Mellieha are all popular localities – especially for the tourists during the summer months, – with a large number of both rocky and sandy beaches. In fact, many locals and tourists agree that Golden Bay is the most appealing sandy beach in the whole country. 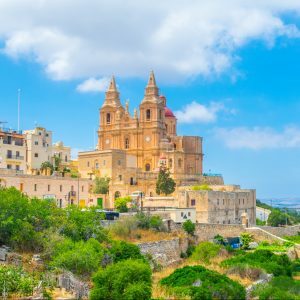 Some parts of Mellieha lays a few hundred meters above the sea level, which can present an unbelievable panorama, not to mention the long list of villas, farmhouses, and bungalows that are extremely common in this town. A cave is hidden inside the high cliffs overlooking Ramla Bay in Gozo, known as the Cave of Calypso. During his great journey, after losing his ship and his comrades, the King of Ithaca and great hero Ulysses was blown on the shores of the island and found by Calypso. Who eventually fell in love with him. According to Homer’s Odyssey, Calypso, the water nymph kept Ulysses there in captivity for not less than seven years, before he was allowed to return to his wife. Gozo gives a home to many curious legends, and even more astonishing spots to visit. People here are called the Gozitans, with their own culture, historical venues, and even their own dialect. However, as a result of fewer job opportunities, it’s a preferred destination of retirees and people with a remote job. 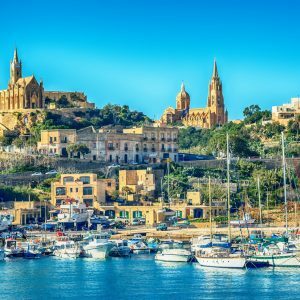 Situated just above the island of Malta, Gozo and it’s capital, Victoria on the hilltop is definitely worth the visit. The island’s largest sandy beach, Ramla Bay, with unique reddish color is considered to be one of the most beautiful beaches in the world. The beautiful shores, Baroque churches, chapels, and old limestone farmhouses are few of the reasons that attract thousands of tourist from all around the planet. 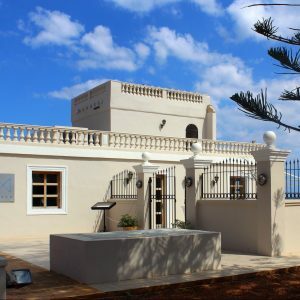 In terms of property, Gozo fits for all tastes and budgets, from new and ultra modern to the charming and traditional. Fishing villages can be found along its coasts, such as Marsalforn and Xlendi. Gozo is packed with lovely townhouses, together with modern apartments and penthouses, often offering breathtaking panoramic views. Check out our Malta – Gozo Comparison Guide. As we learn about the island, we will encounter various types of different properties. Malta offers ample designs, from modern luxury to traditional architecture. The Maltese property market also consist ample luxury properties catering to more high-end living. Large semi or fully detached properties, with all the features that are essential for absolute comfort and luxury. You will find breath taking villas in Madliena, Naxxar, Swieqi, and Mellieha, just to mention a few. Generally built on two stories, with a bright and spacious interior, supplied with central and under-floor heating, indoor pools, Jacuzzis and several en-suite bedrooms with walk-in wardrobes. 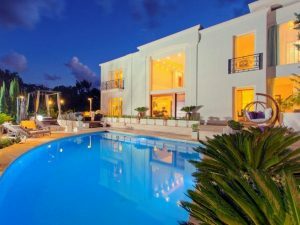 Villas in Malta usually have a huge outdoor area, surrounded by splendid Mediterranean gardens, swimming pools, shaded seating places for barbecue and entertainment. Villas that have been built before the seventies are often renovated to fit into a contemporary lifestyle, but you can also have them built according to your own taste. An Italian term, meaning palace. When Maltese people speak of palazzo or palazzino (which is a slightly smaller version of it), they are usually referring to a antique, elegant and historical building. Including features like large front doors, sprawling back gardens and usually obtaining huge central courtyards with loads of natural light. Commonly divided into several private apartments with majestic stone staircases, beamed roofs, very high ceilings and at times with frescoes on the walls. Definitely one of the most authentic types of properties in Malta, some of them dating back for over two hundred years. 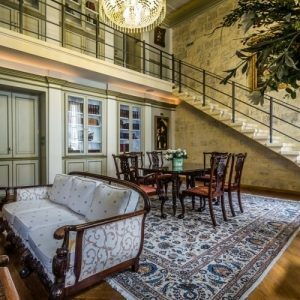 Valletta is famous for its beautifully renovated palazzos. Low-rise, semi or fully detached ground floor level buildings. Most of the times including a large basement garage, pool, wide porches and private garden surrounding the whole residence. The difference between villas and bungalows is that while villas tend to have more than one level, bungalows appear with a more horizontal layout, spreading over one floor. Still, rarely you can see upper rooms set in the level of the roof. Houses built from limestone and rocks and carrying the traditional elements like arches, wine cellars, patterned tiles, and central courtyards. They are located in smaller towns and villages, and some of them date back to more than 500 years, displaying the traditional character and architecture of the olden days. Buying houses of character for converting purposes became a major trend in the eighties and nineties, which is the reason why they can be found all around the island. Recognized for their traditional limestone walls, wooden apertures, and balconies. Walking in Sliema, you are likely to see many of these types of properties. In fact, the promenade in Sliema was particularly famous for its townhouses appearing in nicely arranged rows along the seaside. More often than not, you can find plaques near the door numbers, showing a religious Saint or similar reference. The typical townhouse usually consists of spacious buildings with boasting courtyards and swimming pools, filled with carpet-like patterned tiles. Nowadays, by cause of the high cost of maintenance and restoration, many of them have been replaced with new blocks of apartments, but the ones that remain in their original condition can make an enchanting, cozy and unique home. A few years back, terraced houses were one of the most common types of buildings found in Malta. They usually own their own airspace, typically between two other buildings with not more than two levels, and a typical square-shaped front porch or terrace. The older terraced houses may include marble flooring, solid wood apertures, staircases with aluminium or stone balconies, as well as gardens or courtyards. In recent years, many of these types of properties were converted into block of flats or apartments. Commonly confused with houses of character since they have mainly the same features such as patterned tiles, wooden beams, corbels, and slabs. 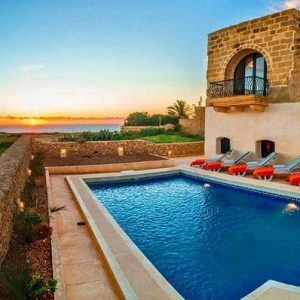 However, farmhouses are situated in the rural areas of Malta and Gozo, moreover, they usually come with a pieces of land. They are truly some of the most charming properties and when converted, they offer modern comfort under the authentic surface. Usually the last and highest unit of a block or building. They started to appear at the beginning of the 20th century, yet, nowadays you can find them on the top of most properties in Malta. These kinds of luxurious and modern apartments are normally designed using a set back structure, that allows more space for a larger outdoor area, filled with ample sunshine throughout the whole year. Offering amazing views they show a slightly higher price compared to the other apartments in the same zone. An apartment on the ground, first or second floor. The main detail that differs it from being an apartment is the possession of a private front door and usually access through the road, rather than a common area. Ground floor units are usually equipped with a rear yard or garden, and garage in the front. 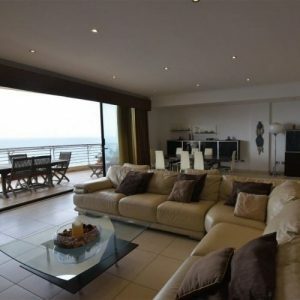 Due to the high demand, they are currently the second most popular kinds of all Maltese properties. They are second to apartments and flats. Almost half of the property listings are apartments or flats. Being so, they are the most popular types of all the properties in Malta. Apartments can literally be found everywhere, usually, they tend to have access to the rooftops and some will boast a spectacular view. The newer buildings offer an open plan layout and come with basement garage and lift. Older blocked apartments offer a spacious interior and great value. Smaller-sized apartments, combining living room, bedroom, and kitchen into one single area. 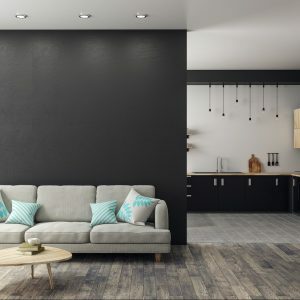 These kinds of apartments typically consist of one large room which serves all purposes. Most probably the name comes from artists, that transferred their entire living quarters to one bohemian room where they have been working. With the significant increase in number of expats arriving to Malta, the rental property market offers an impressive number of temporary homes. Letting plans can be separated into two main groups. Short lets – that means a period of not more than 6 months, and long lets – starting from 6 months usually up to 1 or 2 years. Leasing a home gives you the freedom of choice by stating the time of your stay without serious financial commitment. 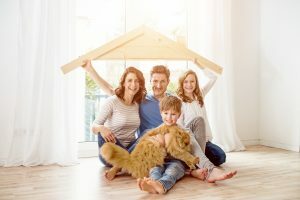 It is not uncommon to find your dream home in the morning and move in just a few hours later, but generally speaking, it’s highly recommended to ask for the assistance of an agency. Not only because they are professionals with a profound understanding of the local market trends, but also because of the experience that they obtain in rental services and procedures that you might use some assistance to deal with. Welcome Center Malta also provides assistance in renting real-estate in Malta. Rent a property in Malta. Your budget indicates how much you can afford on a monthly basis, including the price of the lease and utility bills. Depending on your preference of the location, the rental prices vary. 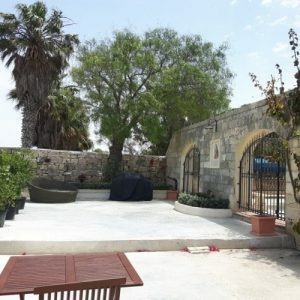 As mentioned above, cities like Sliema, St Julian’s and Valletta are likely to have higher prices than other cities like Birgu, Hamrun and Rabat. When choosing the location, apart from the budget, keep in mind the additional costs and commodities related to living in that location. Such costs include the transportation expenses to travel from your home to work. How many rooms do you want? Ground floor or penthouse? Would you like to have a terrace, balcony, pool, maybe a garden? These things have to be taken into consideration and if you are opting for an agency, need to be discussed to help form a detailed portfolio of what you need/want. This will eventually save you time by not viewing something you are not interested in. In case you have pets, seek pet friendly properties. Pets are not always welcome and it’s important to inform your agent and landlord about pets. In most cases, deposit equals one monthly rental fee and it is due to be paid either at the viewing or when you sign the rental agreement or contract. When it comes to the viewing, you will be shown properties that are currently, or soon-to-be available and are mostly ready to move in. If you are certain in a specific property, securing it by an agreed amount is recommended. The landlord then reserves it and removes it from the listings. Normally, utilities are included in the monthly rental fee. The tenant is agreed to pay a supplementary amount of 50-100 euros each month, and the outstanding balance is to be settled when the lease is paid monthly. Of course, you can request the bills to be delivered to your name directly, so the landlord will not be involved in the utility expenses. Not all rentals include Internet and phone packages, it’s always better to clarify whether it is included in the price. You can ensure that your deposit is safe by making an inventory. This is a document that records the condition, equipment, devices and utensils inside the property. Take pictures of any damage you may find: for instance, cracked tiles or windows, imperfections on the walls or furniture. 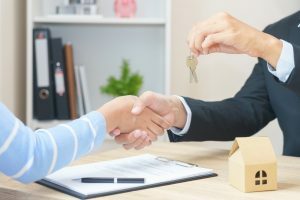 It will then be signed by both members of the agreement, and it is utilized as a proof of the conditions that the property had, at the time when you moved in. An additional document can be attached whenever you are not sure about the length of your stay in Malta. Termination clause will legally state, that in case you must leave your country due to personal reasons without returning, you are allowed to do so and you cannot be obligated to pay the remaining months of your rental contract. One month notice must be given, and it can cost you the deposit only. It is extremely recommended that you read everything in your contract and don’t sign it unless you understood it completely. Your agent will always answer your questions and assist you to understand each section and article that the agreement may include. When the monthly lease, deposit and agency fee are agreed, the contract is to be signed by both parties and agents if they are present. The contract should obtain the full names, numbers of valid documents used for identification, addresses, and phone numbers. Most importantly it has to be signed on both sides of each page. When you finally receive the keys to your new home, there’s nothing that can stop you from enjoying all its comfort. A real estate-related purchase is one of the biggest decisions in life, especially when you are investing in a foreign country. Nevertheless, buying a property in Malta is rather a simple procedure and if done well, often a good investment. Ample market research and critical planning is crucial and it will enable you to come up with a financial strategy and set a realistic budget. 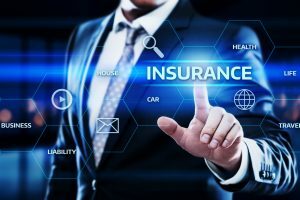 Loan and mortgage-related arrangements, if needed, can be set up relatively easily with several kinds of plans offered by local banks. Opening a bank account in Malta is relatively easy and it is likely to enhance the chances of qualifying for different kinds of home loans with that particular bank. European nationals who have continuously lived in Malta for a minimum of five years, do not require an acquisition permit. European citizens who do not meet this requirement have to request an acquisition permit, which will permit them to buy a property, that can be considered as their secondary residence in special designated areas. 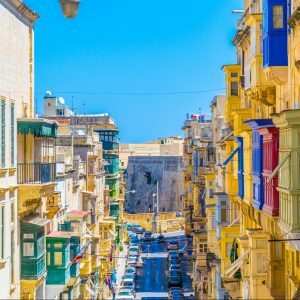 Non-European nationals have to apply for a permit for both a primary and a secondary residence, regardless the number of years living in Malta. The permit, when applicable, will cost €233 and is be published in six to eight weeks. 10% of the total price payable when the Preliminary Agreement is signed. When it comes to the stage of signing the “konvenju” (Preliminary Agreement), 1% provisional stamp duty is paid by the buyer. The remaining 4 % on the stamp duty is payable when the title deed is signed. Value Added Tax (VAT) is not levied on property sales in Malta. Stamp Duty equals 3.5% on the first €150,000 of the immovable property contract price and 5% on any amount over €150,000. Notaries in Malta are publicly appointed officials usually chosen by the buyer and responsible for conducting all the necessary due diligence, to make sure there are no issues with the property or the contract. The fee of the notary is usually 1% of the purchase price, although this percentage may vary if the property title requires profound research. On the other hand, agency fees are shared by both buyer and seller and usually means not more than 5% of the property’s value. 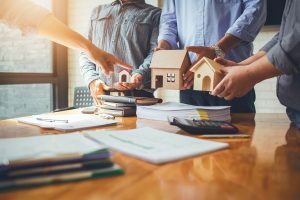 Property used by the vendor as the primary residence for three years, and not vacated for more than one year, does not incur capital gains tax or withholding tax. When the unit sold has been the main residence of the seller for less than three years, the vendor is subject to capital gains tax or a final withholding tax. The applicable rate is dependent on the seller’s residence status. The vendor pays an applicable tax on capital gains on the actual profit or 12 % final tax on the selling price minus agency fees. A property acquired for more than five years, it will be subject to provisional tax only. When going to see the property for the first time, try to consider all the factors surrounding the property. Look around the neighborhood and pass by in different times of the day and the night to have a personal feel of the area, density of tourists, nightlife, noise factors (especially in the summer), and remember that you can always ask your local friends for advice. Maltese people are said to be one of the friendliest nations in the world, meaning that you should not have any difficulty to interact and make friends, that will than give you useful and genuine advice. 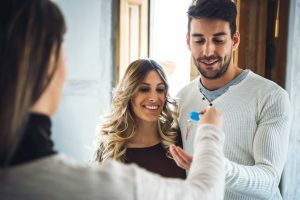 When you finally come across the home of your dreams, you made an offer, and your offer had been accepted, there are a few important things to keep in mind, before moving on the next step. More often than not, some negotiations in the price is accepted. Also consider ground rent, if applicable, and that the features included in the price are agreed on. When a deal is reached, you need to sign a promise of the sale agreement, or Convenium (Konvenju) – a legal document containing details of the sale. This includes the amount deposited, the stamp duty amount and specific conditions regarding the whole payment. A notary needs to be consulted to check the details of the whole transaction, as well as the title deed. 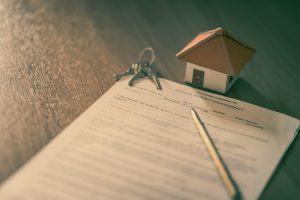 The notary public will follow through the necessary searches to verify legal title and, to ensure that there are no outstanding debts, mortgages or liens on the property. The purchaser is to complete all the special requirements like the organisation of the bank loan, building permits, as specified in the konvenju. After a final sale date is established, you can then transfer the full payment to the seller, as well as pay the stamp tax to the Commissioner of Inland Revenue. Agency and notary fees are also paid at this stage of the purchase. We can help you with your real estate search and guide you through the initial stages to finalising the purchase. Our luxury real estate specialists can also guide you on which properties are the best investment opportunities.